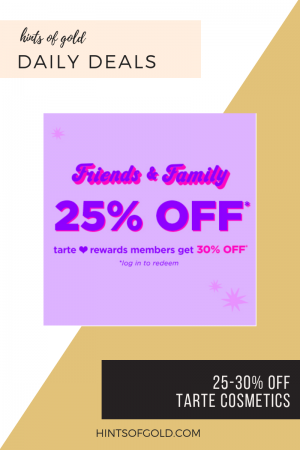 One of my favorite cosmetic brands is having a major sale! I use their shape tape concealer (my current shade is light beige) and the Lights, Camera, Lashes mascara on the daily. 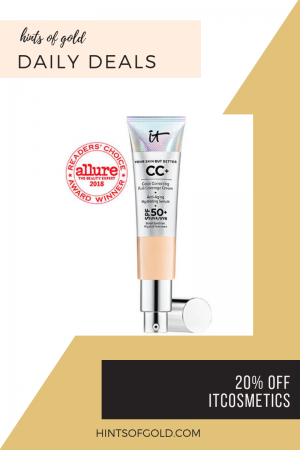 I’ve also used the Creaseless concealer and that works well too! I just like the coverage of the shape-tape more. Members get 30% off and non-members get 25%! Free Shipping once you hit $40 so it’s a great time to stock up. Shop the Friends & Family Sale and get 20% off your purchase of $30+! Plus, get a FREE Superhero Eyeshadow Pallet when you spend $50. My current foundation shade is “Light” for reference.